Wednesday morning, sources confirmed to FloCombat three more bouts are slated for this July. On July 2 as part of International Fight Week, light heavyweights Herdem Alacabek (5-0) and William Knight (4-0) are expected to throw down, per sources. One of the best pound-for-pound fighters from Sweden, Alacabek is undefeated in his professional MMA tenure with a 100% finishing rate. Most recently competing for LFA, Alacabek submitted Dejon Daniels in the first round at LFA 45. His opponent William Knight is a rare athlete. The 31-year-old New Englander has picked up four first-round TKOs in his first four outings. After TKO'ing Kevin Haley in his promotional debut at CES 54, Knight was scheduled to fight at CES 55. However, his opponent, Carlton Little, no-showed the weigh-ins and the fight was canceled. LFA veteran Stephen Regman will take on Brazil's Antonio Arroyo on the July 16 episode of the Contender Series, per sources. Based out of New Jersey, Regman is 27 years old and owns finishes in eight out of his nine victories. In his last outing at LFA 49, Regman knocked out former CES MMA Champion Will Santiago in the first round. The middleweight clash will be Regman's second chance to fight in front of the UFC brass. In 2017, Regman competed on a card Dana White was scouting for "Dana White: Lookin' For a Fight." Like Regman, the bout will be Antonio Arroyo's second chance to fight in front of the UFC don as well. Last summer, Arroyo defeated Diego Henrqiue on Contender Series: Brasil, but was unable to clinch a UFC contract. Ten months later, Arroyo is back and looking to take the final step to elevate to the big show. The first-surfaced women's bout of this summer's Contender Series features a 125-pound matchup between Arizona's Tracy Cortez (5-1) and Kazakhstan's Mariya Agapova (6-0). A veteran of Invicta FC and Combate Americas, Cortez has won five straight bouts entering the Contender Series. After defeating Karen Cedillo at Combate 24, Cortez edged out a split-decision victory over Erin Blanchfield at Invicta FC 34. Ranked the No. 1 female fighter in Central Asia, No. 1 in Kazakhstan, and No. 3 in Russia by Tapology.com, Agapova is unbeaten through six fights. 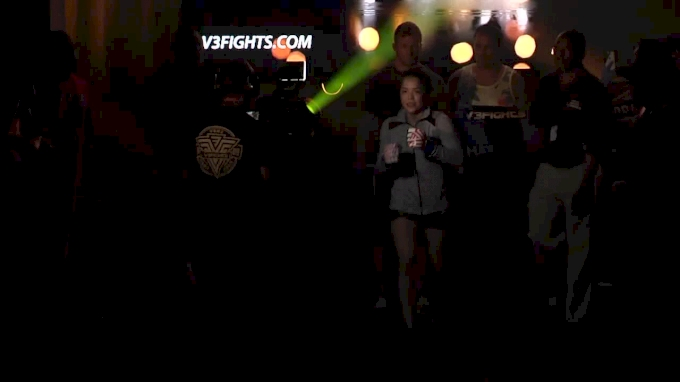 In her last bout at Heroine FC 2, Agapova TKO'd former Bellator MMA competitor Na Liang. Stay tuned to FloCombat for all of the latest regarding season 3 of Dana White's Tuesday Night Contender Series!